Daddy wasn’t there to take them to the fair or change their underwear. Brothers Peter and Kyle Reynolds (Ed Helms, Owen Wilson), have long believed their father to have died of cancer, never knowing him. He’s become somewhat of a mythical figure to Peter, who’s dedicated his professional life to him, becoming a proctologist just like his old man. Or at least, that’s what his mother, Helen (Glenn Close), told her sons. As it turns out, their father is alive, believed by Peter to be an actor who carries the same facial features as the man in his photo. Of course, it’s not that simple, and this leads the brothers down a road to find who is partially responsible for bringing them into this universe. For the failures Hollywood has taken this year in its comedy genre, it feels fitting that the last big-budget comedy release in the 2017 calendar year is Father Figures, an absolute dud any way just about any way it’s looked at. This is a bigger failure than Terry Bradshaw’s acting career. Bright spots? Not many, but OK. The movie looks solid enough, helmed by first-time directed Lawrence Sher, the cinematographer responsible for Garden State, War Dogs, and The Hangover Trilogy. It is sharper, aesthetically, than most studio comedies. 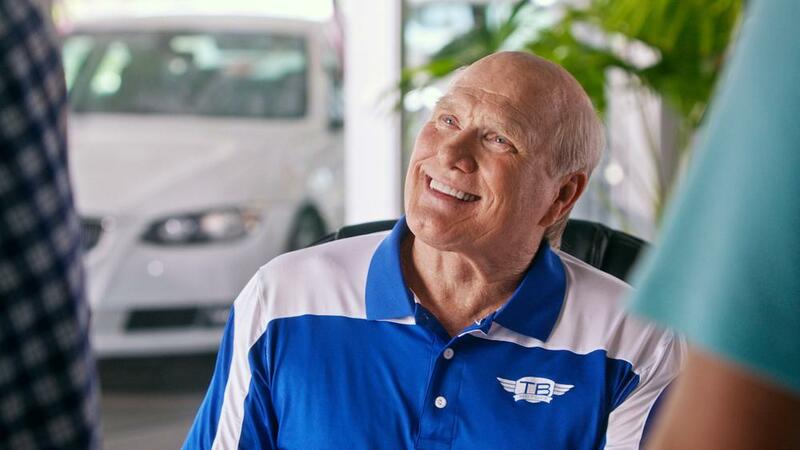 Playing himself, the happy-go-lucky Terry Bradshaw is in possession of the more amusing moments of the film, getting a running gag about getting Owen Wilson’s character’s name wrong. But if Terry, a non-actor, is the best thing cast-wise about a comedy, that’s an issue. Father Figures features an impressive supporting cast in Glenn Close, Ving Rhames, J.K. Simmons, and Christopher Walken who are all left with zilch to do, which amounts to mostly talking about how “sexual, wild, and free” the 70’s were. Here and there, we’ve seen “bad” comedy movies elevated to at least average level on the chemistry and strength of their two lead stars. For all intents and purposes, Father Figures is a buddy movie that isn’t so much about the mystery of finding a father, but strengthening a relationship between polar opposite fraternal twins. The movie falls on Owen Wilson and Ed Helms to succeed, and unfortunately, they do not. This duo isn’t believable as brothers from the get go, and don’t play off of each other in complementing ways. It’s fair to wonder if maybe, we’ve already seen the peaks from these two as it pertains to comedy in Wilson’s mid-2000’s run and Helms’ late 2000’s/early 2010’s run. Neither has much support from a lackluster script, but their energy put forth here screams paycheck mode. Additionally, the two just don’t have the dramatic chops to stick the dramatic moments. That script, written by Justin Malen (Office Christmas Party), whiffs at finding the sweet spot between humor and heart, to the point of being contrived. It’s hard to allow your heartstrings to be pulled when there’s randomly inserted scenes during the “emotional” parts consisting of a cat having big testicles and a youngster peeing on an older man and the older man being convinced by the youngster’s dad to pee on the youngster to stop it. Yeah. 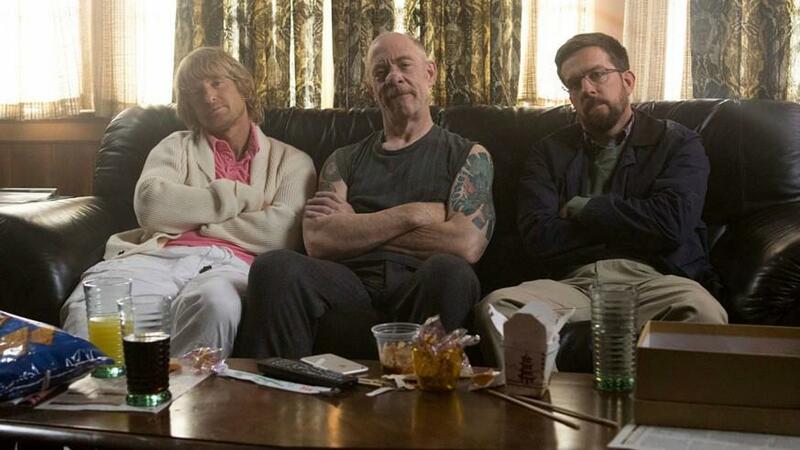 All of this makes Father Figures an agonizingly lengthy watch at nearly two hours. Few comedies have reason to run this long. Father forgive me because I have sinned. My sin? 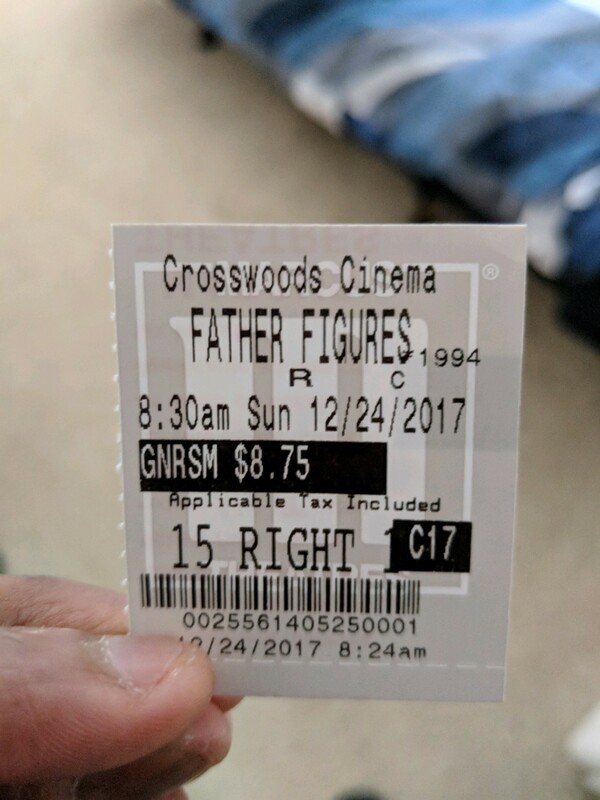 Viewing Father Figures. Photo credits go to blackfilm.com, traileraddict.com, and cineplex.com. I just couldn’t do it. Man, those trailers were excruciating. Your services (of warning) are appreciated! Sometimes a few of us have to fall on the sword! I needed a laugh after having a bad Saturday (chalk it up to love life lol), but sadly, this may have been the worst thing of my weekend. Shame, I actually like Ed Helms, too. I’m with Keith on this one. I humbly thank you for your service and sacrifice ha! Nothing about this looked appealing from jump. Ha! I’ve been occasionally surprised by the random comedy and I like—maybe liked—Helms. But boy, is this deplorable.